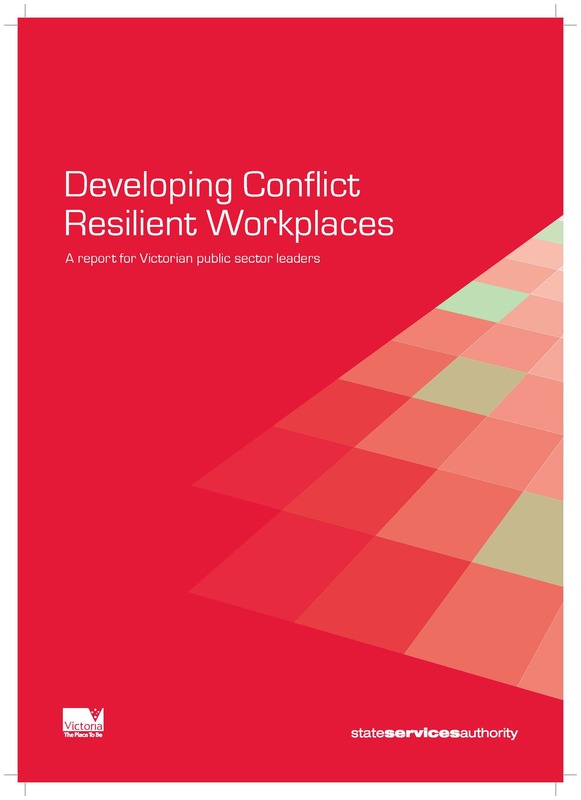 The Developing Conflict Resilient Workplaces Guide describes the features of a conflict resilient workplace – one where conflict is managed well, and not allowed to escalate. The guide leads people through a series of action steps to help reach their organisational goal. It supports you to create a more positive workplace by suggesting how to build commitment to change, review current practice, identify areas for improvement, present options for change and evaluate success. Much of the guide is diagnostic: it encourages you to ask questions about your organisation’s systems, values and behaviours to identify the most important issues to work on. It also gives practical tips for writing business cases and presenting options to senior management. 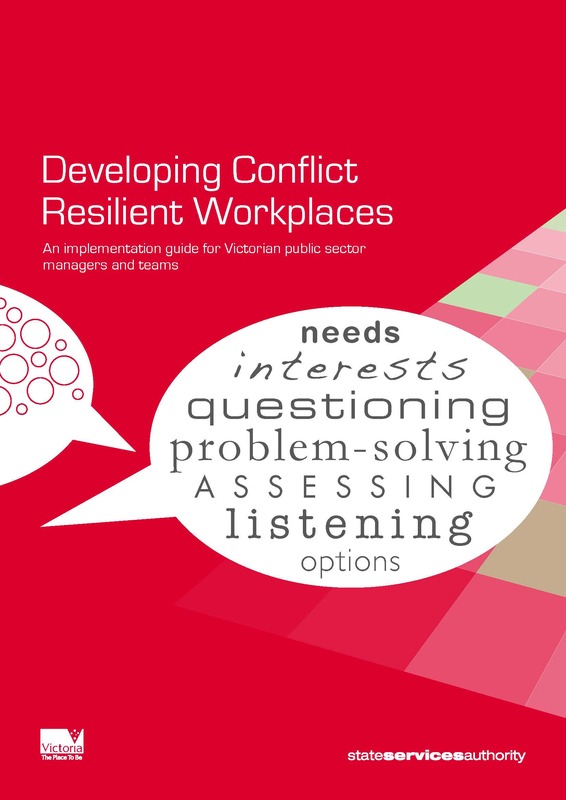 The guide is complemented by the Developing Conflict Resilient Workplaces – A report for Victorian public sector leaders and the Taking the Heat Out of Workplaces Issues discussion paper. Please note: Due to the use of images and graphics, these documents are being provided in their original PDF format, as published by the former State Services Authority in 2010. If you have difficulties downloading or require an accessible version, please contact VPSC. The guide leads people through a series of action steps to help reach their organisational goal of a conflict-resilient workplace.